Masculine Monday: What has Vintage Done For Men Lately? A whole lot of greatness! With 1930’s style vests, unlined blazers, throwback retro baseball caps and a Converse dedication to preserving vintage presentation, Men’s Fashion 2012 will be garnished with many more valiantly vintage garments and accessories. This sweet vintage travel alarm clock, made in Occupied Germany U.S. Zone by Welby, works wonderfully and folds up into a leather case that looks like a suitcase. One last modern man’s vintage must have…. "A great vintage man's tie circa late 1940's. The design has a great pattern with a bit of funk. The background is a dark red, the fleur-de-lis design is ivory, gray and black. The material has an interesting texture and pattern of diamonds in the weave as well as a slight sheen. The photos were taken both with a flash and natural light-the tie appears more red with the flash,  the darker photos best show the overall color and the flash ones show the weave & texture. Condition is excellent, very clean and without wear, damage or stains. Measures 50" long and 3.25" at the widest. 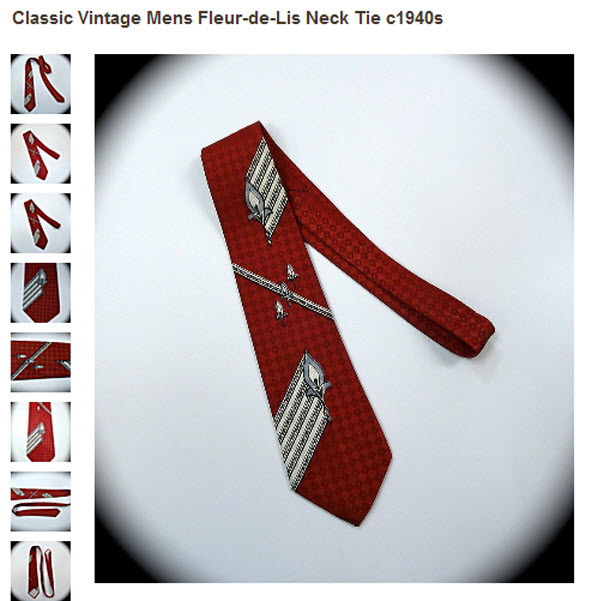 A wonderful vintage tie in amazing near mint condition." Why Don’t You Have These Headphones?! 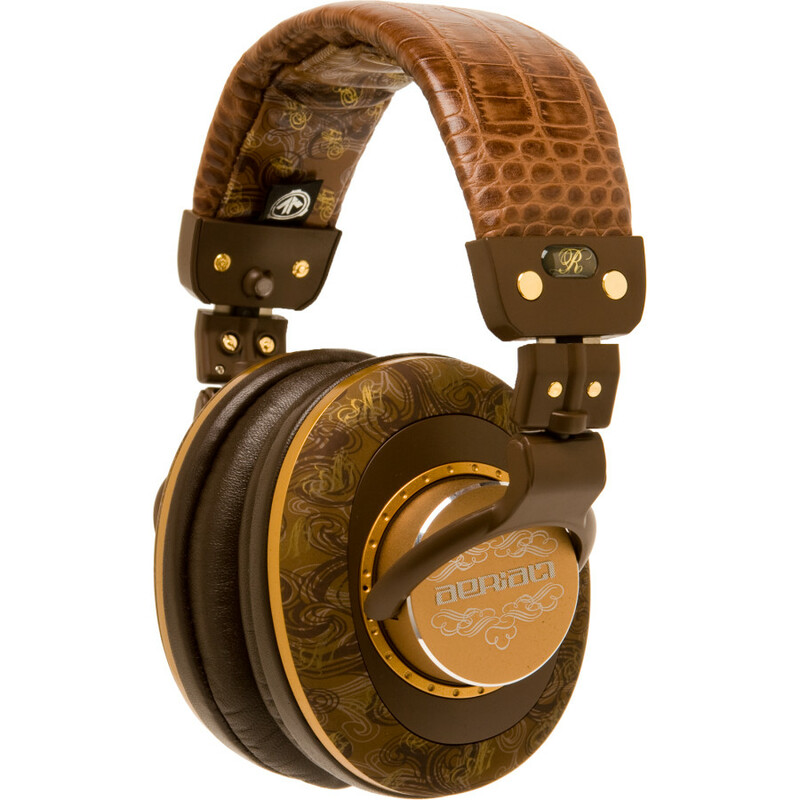 These awesomely authentic Aerial7 Royale Headphones are made with genuine full-grain genuine leather, customized cushy ear cups and re-inforced aluminum outer ear housing. Royale in every way, the isolated design blocks outside noise completely and speakers are equipped with superb 50mm drivers deliver the crystal-clear lows, mids, and highs. With precision sound quality, these radically retro looking headphones invite you to listen to music just the way it was intended! Powerful and plushy sound puppies, these headphones are seriously stocked with additional premiums for the snobbiest of music snobs. Included with purchase are a heavy duty, extendable coiled DJ cable, a lightweight cable with a mic for using with a cell phone, a 3.5mm to 6.3mm (1/4-inch) adapter, and a carry bag. For the amount of engineering and technical authority the Aerial7 Royale Headphones offer, the price of $399.99 is justified. (not Justin Timberlake ‘cry me a rive’ justified) Just… justified. For those of you that may feel the way I do, that these are simply totally rocking old school style headphones that I adore (and that my ears would love! ), you’ve not been forgotten. WeAretheSuperlativeConspiracy, WeSC is at our rescue with retro unisex headphones fitting for vintage fashion and music enthusiasts with the Maraca seasonal headphones (picture below). Available for only $71! 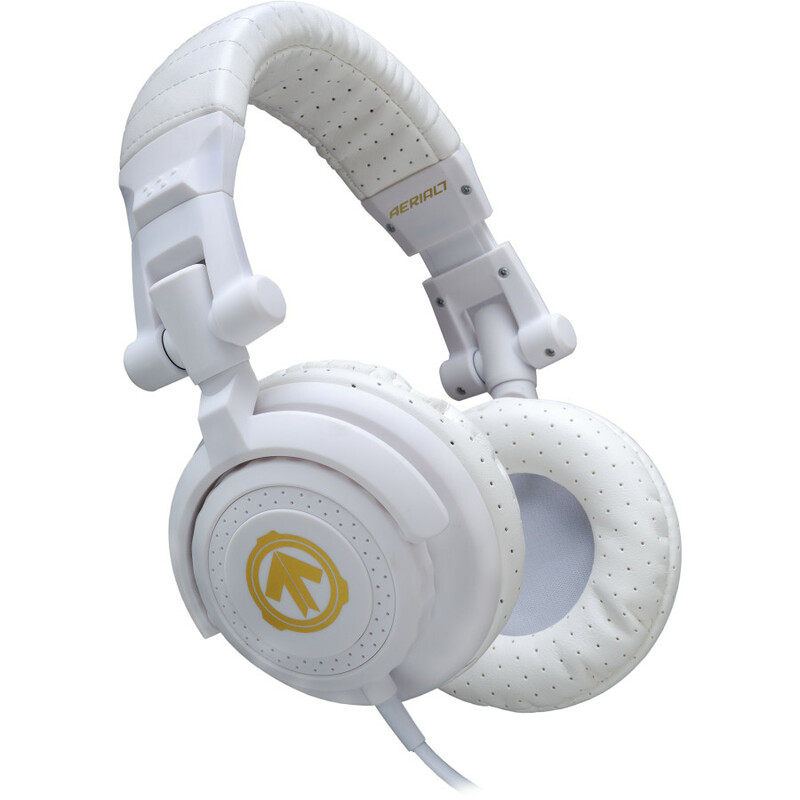 Alright, one more… These Aerial7 Tank Headphones in ‘Blizzard‘ are available on DogFunk.com for $79.95!